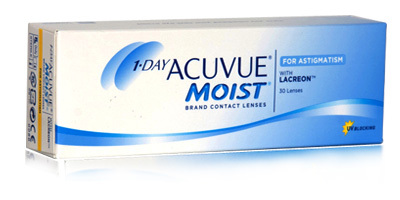 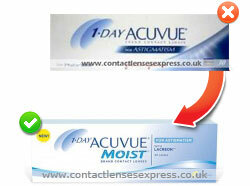 1 Day Acuvue for Astigmatism has been discontinued by the manufacturer and they have recommended 1 Day Acuvue Moist for Astigmatism as a replacement. 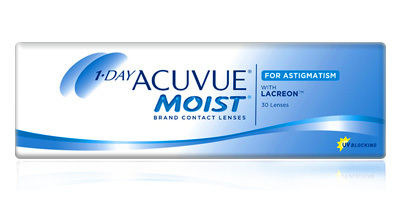 1-DAY ACUVUE for ASTIGMATISM Brand Contact Lenses give you all the freedom and convenience benefits found in 1-DAY ACUVUE plus the amazing vision benefits of ACUVUE ADVANCE for ASTIGMATISM due to our new breakthrough technology. 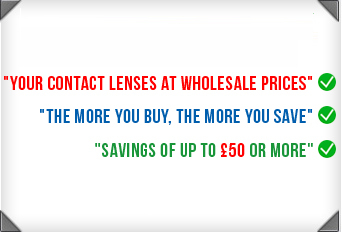 This technology, known as Accelerated Stabilisation Design, harnesses the power of a blink to create a lens that remains positioned correctly and gives you stable vision even during physical activity and head movements. 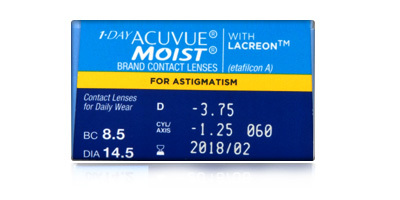 So if you've got astigmatism why not give 1-DAY ACUVUE for ASTIGMATISM a try and experience crisp, stable vision with all the convenience of a daily disposable lens.